Clearwater County is a rural community in the south eastern slopes of the Rocky Mountains – meeting both Banff & Jasper Provincial Park. Roughly 12, 000 people call Clearwater County home. With its close proximity to Red Deer, Calgary, and Edmonton, there is no need for cities within the county itself. Instead people in Clearwater County enjoy spending time in the great outdoors, with the mountains as both the stage and the backdrop. There are plenty of family friendly adventures awaiting you in Clearwater County. If you are ever in the area, be sure to check out some of the beautiful waterfalls including Ram Falls and Siffleur Falls. If you enjoy horseback riding, be sure to take a tour with one of the many companies in the area which include Chungo Creek Outfitters and Mckenzie Trails West. Whatever you and your family choose to do, you will not be disappointed by the amazing views and choices of things to do! 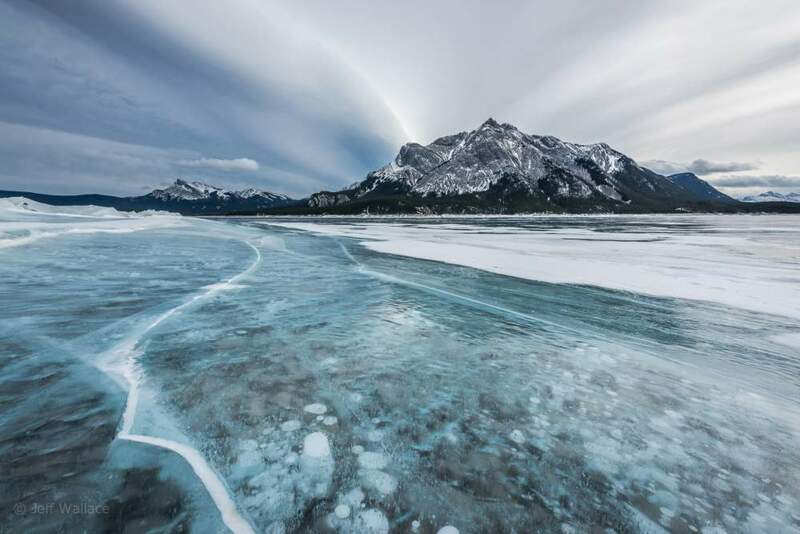 Abraham Lake is a lake that you will want to bring your kids to during the winter. Unlike typical lakes this one is a man made. It is clear and turquoise and spectacular, but what makes it so special is the bubbles that form under the surface when it freezes each year. The sight will make both you and your kids “ooh” and “aww” in wonder.